This limited edition CQC-7 features a flipper opener, GTC bearings, and a 154CM stainless steel blade. 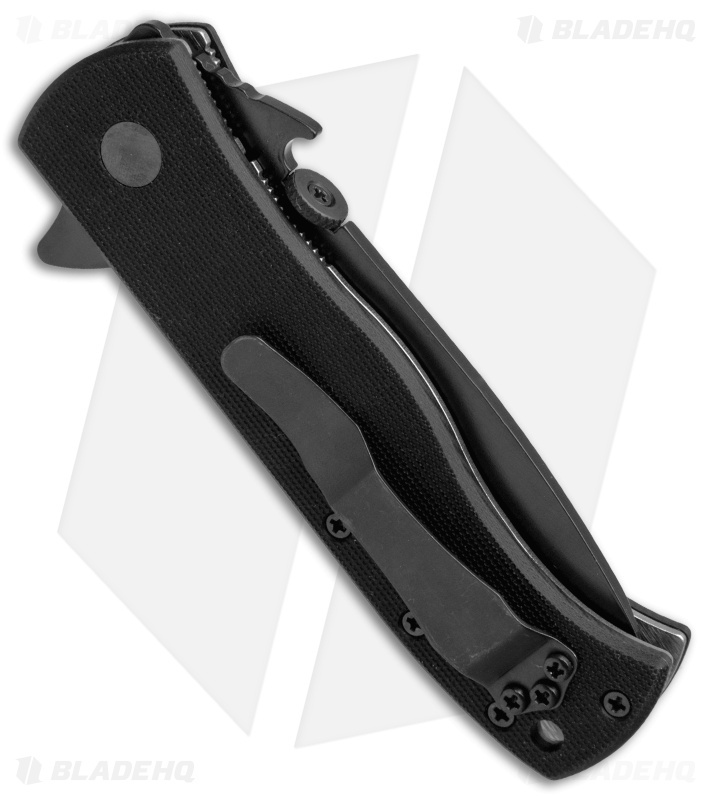 It has a black finished blade with a plain edge and the Wave opening feature. 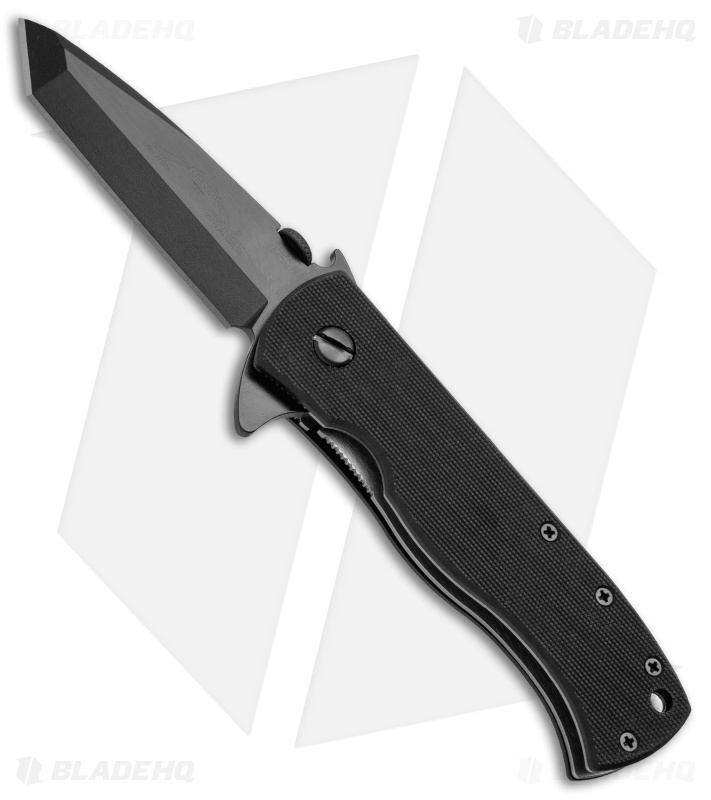 The Emerson CQC-7 knife is the most recognized and iconic tactical folding knife of all time. Sometimes a great design is "finished" just as it comes off the drawing board. When I first designed and built the first CQC-7, I thought that knife was one of those "finished" designs. I thought that it was done - that it couldn't get any better. And that's the way the CQC-7 was for quite a few years. Then I developed the wave shaped opening feature. I wondered how it would work on the CQC-7 so I gave it a try and built a couple of prototypes. Needless to say that it worked well, but so much so that it made the original CQC-7 knife better, especially in the tactical world where immediate access and deployment (opening) of your knife can spell the difference between life and death. What I once thought was good, became even better. And thus the "waved" CQC-7 knife was born. This became the standard iteration for the CQC-7 and it became our best selling knife for almost two decades. So, today I am proud to announce another evolution in the life of the Emerson CQC-7, the Emerson CQC-7 Flipper. This may just be the ultimate evolution of the tactical folding knife. 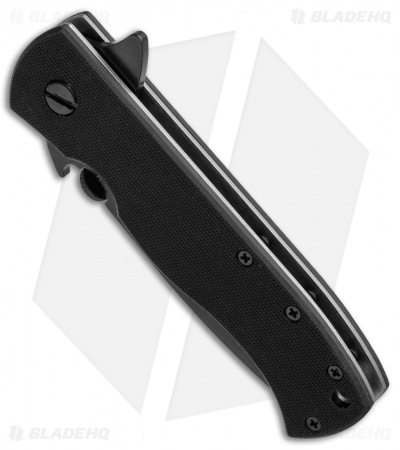 This knife is the epitome of the 21st century tactical folder. It now features S35VN steel, GTC stainless 440C bearings and they are now equipped with the flipper opening technology. Believe me, this is still an Emerson CQC-7 but it's like comparing a 1960's era F4 Phantom jet to an F22 Raptor Stealth Fighter. There's just no going back. With the flipper opening system, the Emerson "wave" and the thumb disc this knife could be called the first "triple play" tactical folding knife. And in a high stress tactical or emergency situation this knife gives you three options to bring it into action. It is by far the slickest, fastest, and hardest knife you will ever own. I guarantee it.